Natale con i tuoi; Pasqua con chi vuoi. We are about to enter the holiday season. For some, that means getting ready to celebrate with our families, exchange gifts and cook delicious, extravagant meals that will keep us full until Spring. “Natale con i tuoi; Pasqua con chi vuoi” is an often-heard Italian expression about two holidays that are very important in Italy: Christmas and Easter. Italians traditionally spend Christmas with family at a relative’s house. Easter, on the other hand, can be celebrated with family or with friends, at home, at a restaurant, or wherever you choose. According to an article in the Supereva Guide, this difference in celebratory style came about because of the seasons. Christmas falls in the winter, a time when people would much rather stay cozily close to home than travel. In the spring, when Easter arrives, people are happy to get out of the house, travel, or perhaps celebrate with a picnic outside. This doesn’t mean that you can’t spend the Christmas holidays with some friends (con chi vuoi) if you want to. In fact, you are cordially invited to Sentieri’s Festa di Natale on December 9th. 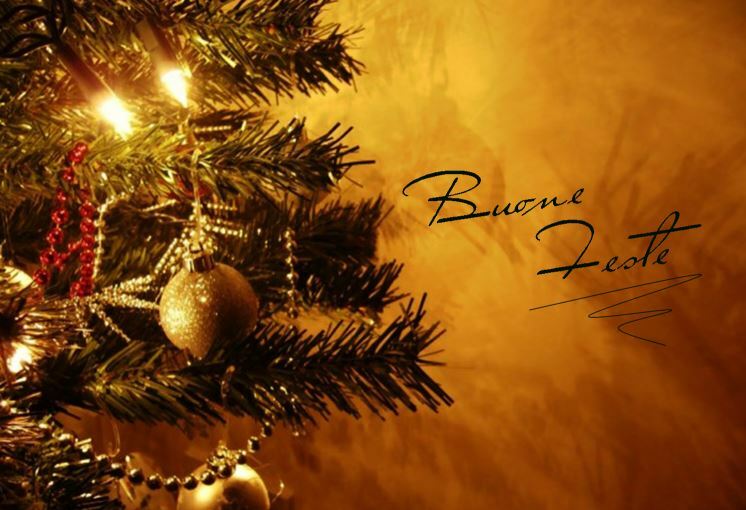 This is a holiday party for Italian speaking and English speaking friends alike! And if you can’t make the party, you can still participate in its raffle – there are over 20 fantastic prizes this year. Buy your tickets before December 9th and hang on to you stubs, we will contact the winners after the drawing.